Aluminium shell household membrane type natrual gas flow meter watchcase adopt aluminum alloy die casting, the plastic parts such as high strength engineering plastics processing molding, to high quality material and reasonable structure design to ensure that the product is still under long-term work can reach the indicators, this series of aluminium shell household membrane type natrual gas flow meter a specifications conform to GB/T 6968-1997 the requirements stipulated in the membrane type gas meter, therefore is an ideal gas industry measuring instruments. 2. Integrated structure, ease of installation and maintenance. 5. Special processes treated to ensure gas-tightness, safety, corrosive-resistance and long life. Your pardon please, we still offer Wireless Remote Reading Gas Meter, IC Prepaid Wireless Remote Reading Gas Meter, Network Remote Reading Gas Meter. Our company is the best choice for gas meter supplier in China, we can provide OEM service, which means we can design and produce gas meter as your requirement. Welcome to visit our factory, we would give you a warm reception. A.Yes. 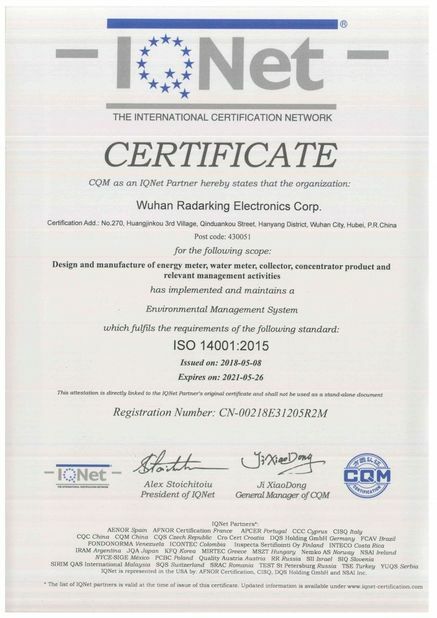 Wuhan Radarking Electronics Corp. is a combination of production and trade, industry and trade integration business. 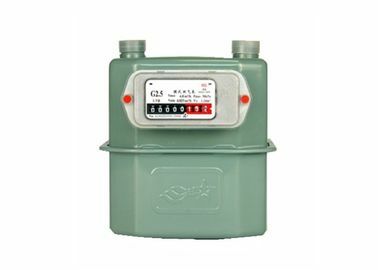 As a leading Meter manufacturer, our annual production of electronic meters and water meters can be up to 6000000 sets, and we have our own brand "RADARKING". Q2. 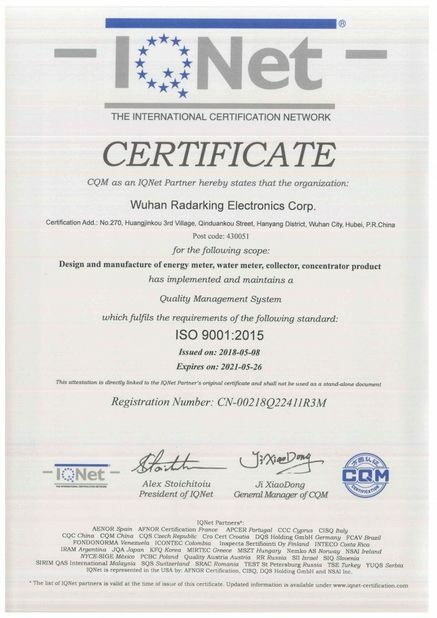 How to request a quotation from Radarking? A. Simply call or send us E-mail with your purchase request. Be sure to include all requirements(like the type,size,weight ,package and so on) in your request for quote. Q3.What are your quality control procedures? A. Radarking strictly get the control of quality,which begin with material purchase and carry through to the end of the production process by ISO9001. Before shipping, welcome the examination of goods. A. Yes. We requires proof of trademark registration in order to print or emboss your trademark onto the product or packaging.